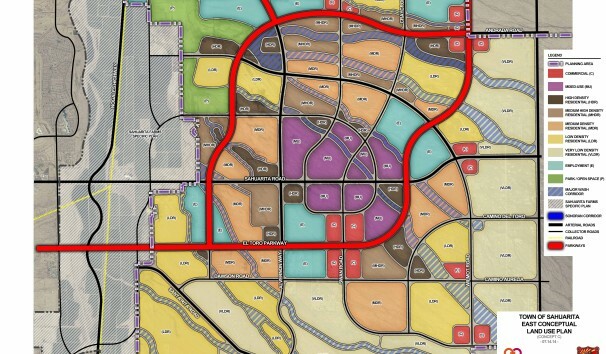 As lead consultant, The Planning Center is facilitating an advisory group including the Town of Sahuarita, the State Land Department, the Sonoran Institute, the Drachman Institute and top representatives and major employers in real estate and land development, to create a conceptual plan for a future model community in a semi-arid environment. 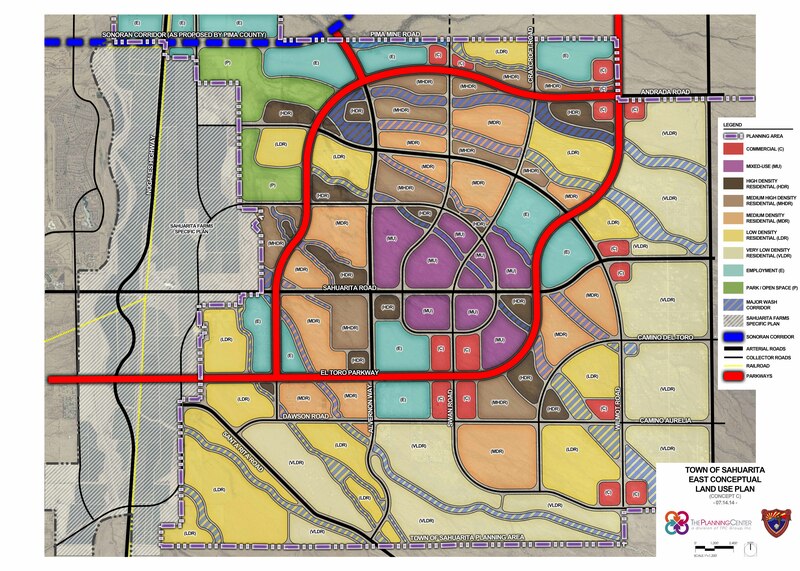 The draft conceptual plan seeks to create a high tech, environmentally-friendly, live/work environment on a large area of Arizona State Trust Land directly east of the current Town boundaries by including areas for residential, commercial, industrial, employment and mixed use developments. To meet a diversity of social, cultural, environmental and recreational desires by residents and a future workforce, the plan includes plazas, open space, cultural and community spaces, wash preservation, and other recreational amenities.